“Tonight is my last night, I’m off home tomorrow. 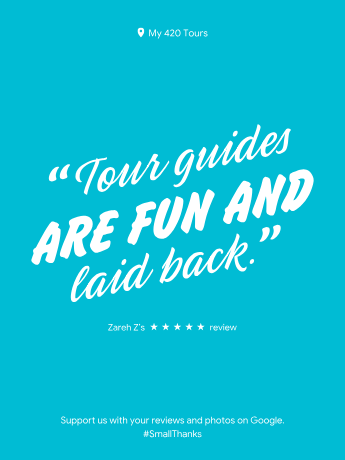 I really enjoyed My 420 Tours, it was a great experience, and I really loved all the staff! Best vacation ever! Thanks for everything, and all the best to the staff at 420. 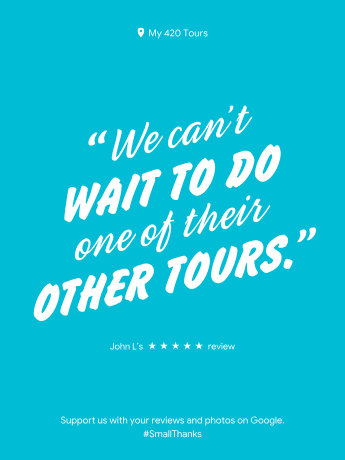 William R., Charlotte, NC 5 stars My 420 Tours is an absolute top notch operation! 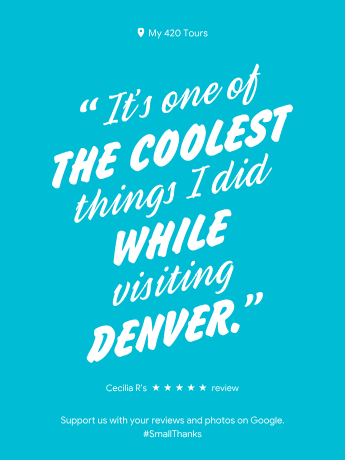 I recently took a tour with them on a trip out to Denver and I was thoroughly impressed. 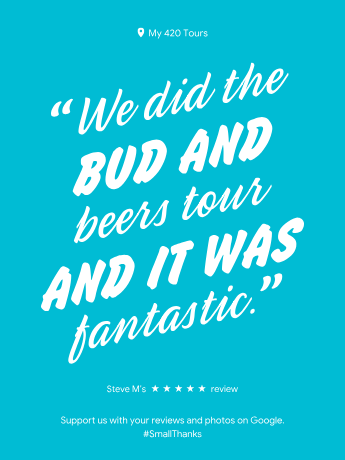 As a ‘first timer’ who had no experience with cannabis I was a bit intimidated, but the staff over at My 420 Tours was great from booking the tour to helping me along the way during the tour! I went on the Dispensary and Grow Tour and had an incredible time. Brain P., Denver, CO 5 stars Awesome tour, Jared and Mike were great guides. Had a really fun day learning about the growing process and hanging out meeting new people. Rafael Irula 5 stars Tour was awesome!!! It was only 9 of us so they picked us up in a stretch Chrysler 300! We hit up a grow op with thousands of plants and 3 dispensaries! Green Solution was my favorite and they gave 15% off. They don’t pass out weed but they do supply you with grinders, papers, pipes and ashtrays to smoke while you’re in the vehicle. Highly recommended!!! Kevin Green 5 stars What a GREAT Time!!! Grade A from start to finish! I HIGHLY recommend this tour to all aficionados out there! Mike and his crew did and excellent job! 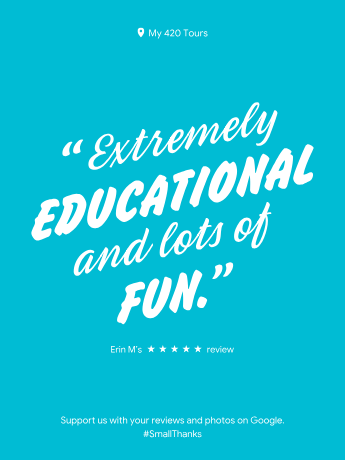 I recommend My 420 Tours for the ultimate Colorado cannabis tour experience. Louise S. 5 stars Had an in room massage this morning. The massage was excellent. Very professional, therapeutic and relaxing. I feel magnificent. 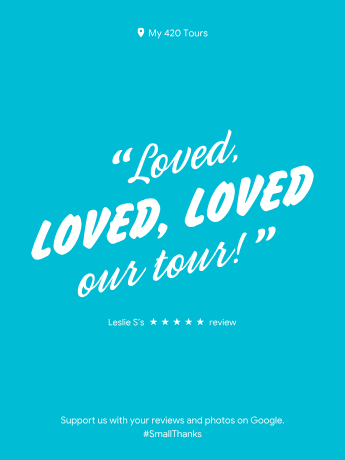 Francesca E. 5 stars We booked our hotel thru My420tours and we loved it!! They provided us with our silver surfer vaporizer with the concentrate attachment!! The hotel suite was beautiful! !